Sweet and endearing, this little girl imagines what her garden would be like.and it's not just vegetables! Growing chocolate bunnies, patterned flowers, jelly-bean bushes, and seashells that sprout, this is a story about the fun that can be had just with imagination. Gentle watercolor illustrations perfectly capture the charm of childhood daydreams. Hardcover with dust jacket. 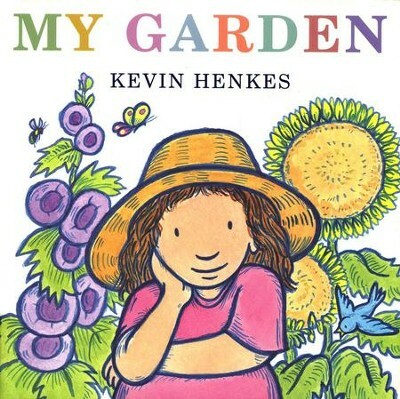 The girl in this book grows chocolate rabbits, tomatoes as big as beach balls, flowers that change color, and seashells in her garden. I'm the author/artist and I want to review My Garden.